My Contacts Feel Great! Why do I Need an Annual Re-evaluation? Here are 6 reasons why. 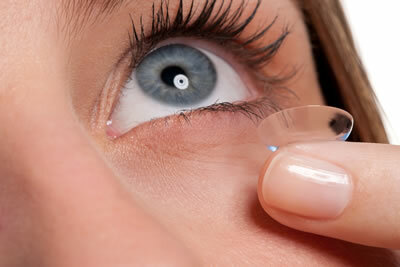 Contact lenses are one of the most convenient and safe ways to correct your vision. With new advancements in contact lens technology, there are so many options for Dr. Mark Roy’s patients at Oakland Optometry in Rochester Hills. He can find a variety of great lens options for your eyes and your lifestyle. However, contact lenses do come with a commitment that you will visit your eye care professional annually. This is critical to maintaining healthy eyes, and to ensure that your contact lenses aren’t causing you more harm than good. Here are six reasons to have an annual contact lens exam. Serious Consequences from Improper Care – Some of the other reasons that you should have a re-evaluation of your contact lenses are less critical, but this should be your number one reason to visit your eye doctor annually. Your contact lenses, if not cared for properly, can actually cause problems with your cornea or your eye health in general. If you have not been caring for your contacts correctly or have been over wearing them, you may be causing serious damage to your eyes. This damage may not be painful, but over time, the consequences can be serious. A contact lens exam with Dr. Roy of Oakland Optometry will enable him to check for any vision issues, and help you manage your contact lens use to best protect your eyes. A contact lens exam includes all the regular steps of our comprehensive vision examination (which provides an eyeglass prescription), plus the expertise of Dr. Roy, who has been fitting patients in contact lens for 30 years. Roy’s optical team provides a contact lens dispensing class instructing each patient with proper lens care, insertion and removal procedures and troubleshooting techniques. Your Vision Will Change – You may be able to improve your visual clarity with an annual eye exam. If your prescription has changed, you may find that your eye sight isn’t quite as sharp as it had been. You may also be noticing things like eye strain or headaches from an older prescription. An annual eye exam with Dr. Roy will enable him to adjust your prescription and help you see with perfect clarity. Get the Best Fit – The shape of your cornea can change, and this can cause your contact lenses to fit incorrectly. Having an annual contact lens exam helps Dr. Roy determine if your contact lenses fit correctly and make corrections to the fit of your lenses accordingly. Poorly fitting contact lenses can be uncomfortable to wear, may not give you the best vision correction, and can cause eye health issues such as dryness, redness and/or corneal issues. There are many reasons why the shape of your cornea may change, but even a fraction of a millimeter of change can make a big difference in how your lenses fit. Comfort – There is no reason to suffer with contacts that aren’t comfortable. Correcting comfort issues can be as simple as switching the type of material or the kind of lens you are wearing. Ideally, you should only have to think about your lenses when you put them in and take them out. If they don’t feel great, it’s time to schedule your comprehensive eye and contact lens exam. Replacement Modes – The type of contact you are wearing now, may not be the best type for your eyes in the future. Not everyone does well with two week lenses or daily wear lenses. It’s important to find the right replacement schedule for your eyes, your lifestyle and prescription. If what you are wearing doesn’t work well for you, an annual re-evaluation is the perfect time to discuss a different option. The Newest Technology – Just like other industries, the contact lens industry is constantly evolving. Visiting your eye doctor on an annual basis is a great way to take advantage of the latest improvements to lens design, materials and cleaning and soaking solutions. Improvements to lens technology should greatly improve comfort, fit and the health of your eyes, which is essential for allowing you to wear contact for years to come. Roy takes time to fit each patient with contacts that correct your vision even if you have astigmatism. He also fits rigid gas permeable lenses, bifocal, multifocal, daily and extended wear contacts. I Need an Annual Contact Lens Exam Near Me in Rochester Hills! Contacts are a great option for many of Dr. Mark Roy’s patients at Oakland Optometry that need vision correction. They can be less cumbersome than glasses, and their versatility makes life for most of our patients, easier. Annual contact lens exams are essential for contact lens wearers. If you are due for a lens fitting and exam, don’t wait until you have eye health issues, visit Dr. Roy at Oakland Optometry annually for the best results for your contacts. To schedule a contact lens eye exam and fitting, call Dr. Roy today at (248) 373-6500. ⇐ Finding a Great Optometrist in Rochester Hills, Made Easy!